The book has been met by the press with great acclaim. 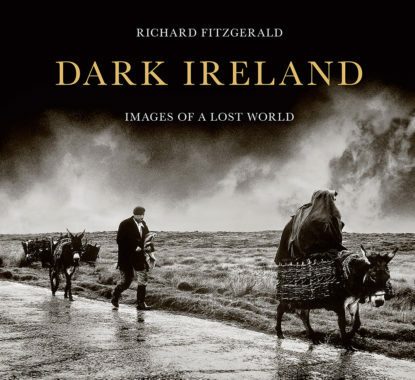 The Irish Examiner says of Fitzgerald’s work: “His striking images form a narrative thread with the not-so-distant past. His camera focuses on the back roads of the countryside and records intimate moments of people in their cottages and farms. 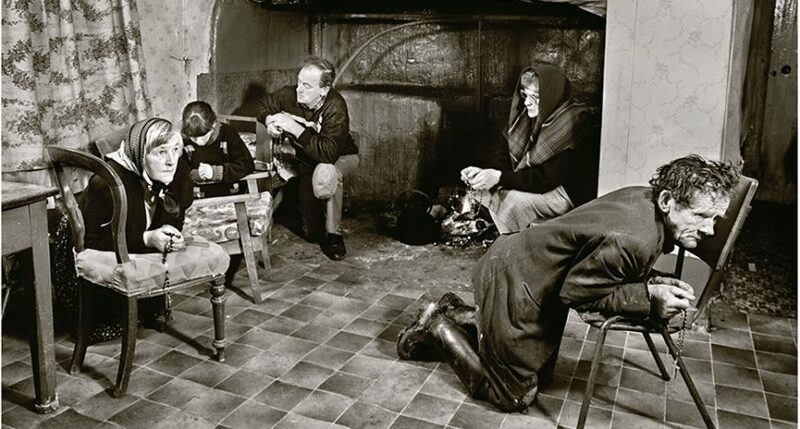 Nuns, rosary nights; confessions, coffins, and currachs are captured along with horse fairs and peat harvesting.” The book has also gained the attention of the Irish Post and RTE Today, where it was discussed by Waterford historian Sean Murphy. The Times notes that the photographs “capture dying arts and simple traditions”. The Business Post says that the book “feels through the darkness of a disappeared Ireland”. Richard Fitzgerald was exiled from his home in County Waterford as a teenager but his love for his home country endured, resulting in the stunning photos included in this book taken during a 40-year period. The images capture families saying the rosary, haymakers working, men milking cows in the middle of the road, and the inside of a local coffin maker’s shop. Each photo, vibrant and full of life, depicts an Ireland in shadow, reflecting Fitzgerald’s recollection that ‘‘of all the rich colours stored in my memory, black is by far the most prominent and persistent’’. Fitzgerald recalls being mesmerised by the shadows created by the fire and candlelight by which he and his aunt saw at night in their small cottage in Kilmeaden, and this awareness of light and dark is clear in his photographs. It is not enough to read about a country’s history in order to understand its people. In order to fully grasp Ireland, both present and past, it is essential to view it through one’s own eyes, and this is what Dark Ireland allows readers to do. The book is essential reading for anyone eager to learn more about their homeland, so to purchase, head over to our catalogue.